Carl Frampton and Scott Quigg will meet for the IBF and WBA World Super-Bantamweight titles at the Manchester Arena on Saturday February 27 2016. The eagerly anticipated showdown between the British rivals was announced live on Sky Sports News this afternoon with the pair putting titles, unbeaten records and bragging rights on the line in the blockbuster. Belfast favourite Frampton took the IBF crown from Kiko Martinez last September and has defended the title twice this year, stopping Chris Avalos in Belfast in February before an exciting debut on US soil in May where he climbed off the canvas twice in the opening round to defeat Alejandro Gonzalez Jr. 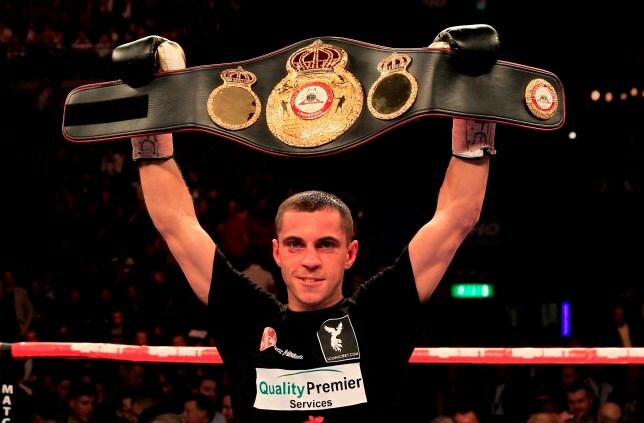 Bury ace Quigg’s reign as WBA champion began in October 2013 and the 27 year old has racked up five successful defences in that time, stopping Martinez in his last outing in Manchester in July to follow wins over Diego Silva, Tshifhiwa Munyai, Stephane Jamoye and Hidenori Otake. Information on ticket on-sale dates and the undercard will be revealed in a UK press tour that will begin later in November.